Moving to a new house could be exciting, but you also fear that things will not be the same. You also left several people close to you behind in search of a better future for your family. The first few weeks could be tough. You might still miss your old home. You have a difficult time adjusting to your new house. Since this is your reality now, you need to make the most of it. These are some tips to help you stay happy in your new place. You are new to the place, and in some instances, it is the first time that you have seen it. You can tour around and explore the beautiful sites. Start with the popular tourist destinations in the city like museums, parks and libraries. You could also try eating in fancy restaurants or shop in local stores. It also helps you determine the location of these places if you need to buy something there the next time. It is fun decorating a house that is still empty. You are building everything from scratch. You can decide the theme for every corner of your home. You can also think of new furniture and appliances to buy. You can shop online or head to local stores for home accessories. You will start to forget your old house once you fall in love with your new home after decorating it. You will be with these people for the next several years unless you decide to move again. You need to start being friends with them. Get to know them. Bring them something nice as a way of introducing yourself. These are the same people who will help you if you are in trouble in the future. You might have been too lazy to start a hobby before because every day seemed to be a routine for you. Since you are starting everything over again, you might consider including a new hobby in your daily schedule. You can opt for gardening or painting. You want to have a sense of accomplishment as it could make you happy. Apart from a hobby, you can also start a family tradition. It could be a weekly game night. You could even eat out at the weekend. You want to start something fun with your family so that the kids will have something to remember when they grow up. Perhaps, you were too busy with your previous job, and you failed to take care of yourself. It is best to reconsider your daily schedule. You need to include some ‘alone’ time. You need it to stay mentally healthy. Dealing with the problems around you could be overwhelming at times. It might even have been the reason why you decided to move out of your old home. You have a chance to change your path this time, and spending time alone even for an hour a week is a healthy practice. If you are yet to move and you need help, you can contact removal companies in Gloucester now. You cannot finish packing everything alone within the time you set, and these professionals will help expedite the process. It is quite stressful having guests coming over. Whether they are your relatives coming over for Thanksgiving, or friends from abroad you met many years ago, you need to prepare your home for their arrival. The problem is when you are too busy; you have no time to prepare your house. 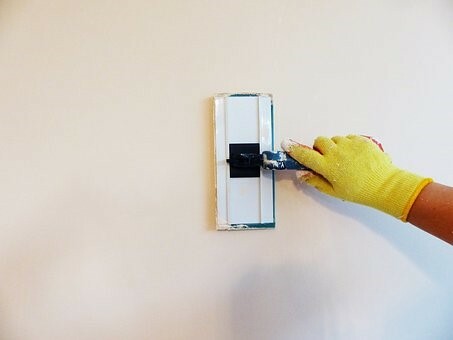 These quick fixes will make your home ready for your guests. Upon arrival, your guests will feel tired. They will not care how lovely your house is. They will want to see the bedroom where they can rest. You can speak with them the next day and catch up. Therefore, it is crucial to prepare the guest room first before anything else. Place extra hangers in the closet. Remove the items that you still keep in this room since someone is using it. Replace the sheets and add pillows depending on the number of people coming over. You want the bathroom to be clean since it is a relaxing space for your guests. Since they will be staying with a family, it might be the only place where they can feel like they have a private space. You can also have an entire container filled with toiletries reserved for your guests if you are sharing the bathroom with them, to avoid confusion. If they brought their own stuff, you could leave space for them to store it. De-clutter your house, and it will start to look pleasing again. Sometimes, you only need to return the books to the shelves or the magazines to the rack. Pick up pieces of paper or trash from the floor. Wash the dishes and store all the utensils in the drawer. It will not take much time for you to finish all these tasks. When you have guests arriving after a long flight, they might want to grab something to eat. If not for the night, they will eat a lot the following day after resting. Therefore, it is an excellent idea to cook the best meal that you can. They will appreciate your effort. You can order takeout though if you have no time to cook. It is important for your guests to have a comfortable place to stay. Apart from that, you also want them to make the most of their trip. Give them a list of the places they can visit nearby and how they can get there. If your guests are coming with kids, you can prepare an area where they can play with toys. You can make their experience enjoyable as they start heading out of your place to discover the locality. The problem when you are in a hurry to clean your house is that you throw everything away and forget to take the garbage out. The piles of trash might cause an unpleasant smell that you cannot hide. If you have no time to manage it, you can ask a debris removal company to come over and pick it up. They will help remove the trash in time for the arrival of your guests. These tips will make your guests feel welcome and comfortable throughout their stay. Want to create the space of your dreams and increase the value of your home all at once? Incorporate these 5 beautiful and modern home trends for 2019. In 2017, Americans spent $316 billion on home improvements and this figure continues to rise year upon year. Are you planning to join the fray? 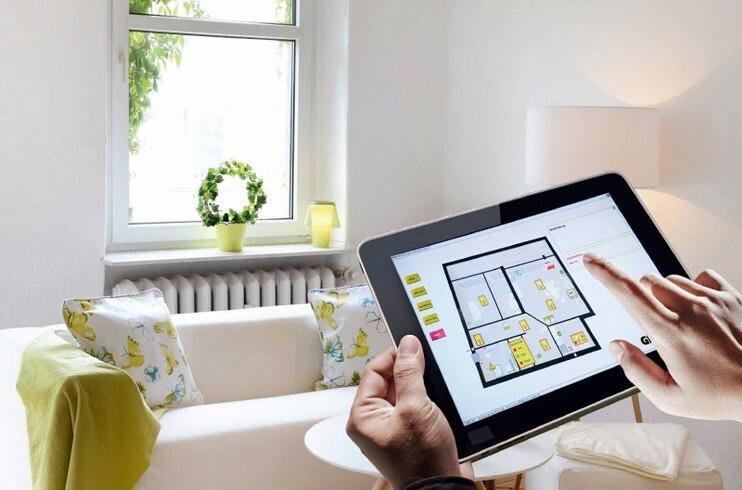 If you’re going to be making changes, you may as well be on trend, especially if you’re planning to sell your home soon. Drop that color chart, pull up a chair, and check out the most happening home trends for 2019 first. Something old may be nothing new as far as trends in home decor go, but vintage keeps reinventing itself and cropping up in new ways. This year, it’s retro pendants and sconces that are in the limelight. There are so many ways to incorporate a little bit of yesteryear in your modern home design. Versatile velvet is back, making an appearance in soft furnishings, sofas, and drapes. Primary colors and graphic shapes a la the Memphis movement are back from the eighties to lighten our lives. Old style tin panels are making an appearance in ceilings and backsplashes once again. Mixed metals are staying the course – get creative with silver and gold, bronze and stainless steel in the same spaces. Smaller homes have meant the demise of the dining room. Yet, all is not lost – the kitchen nook is back, albeit with a difference. The continued preference for open-plan spaces means kitchen islands and free-standing counters are on their way out to make space for dining tables. Now you can entertain your guests while you finish up cooking or enjoy those comforting kitchen-table-talks over coffee that filled your childhood. Banquette kitchen nooks are taking a window seat everywhere there’s space. With a bit of creativity, you can fit a bench seat in anywhere. 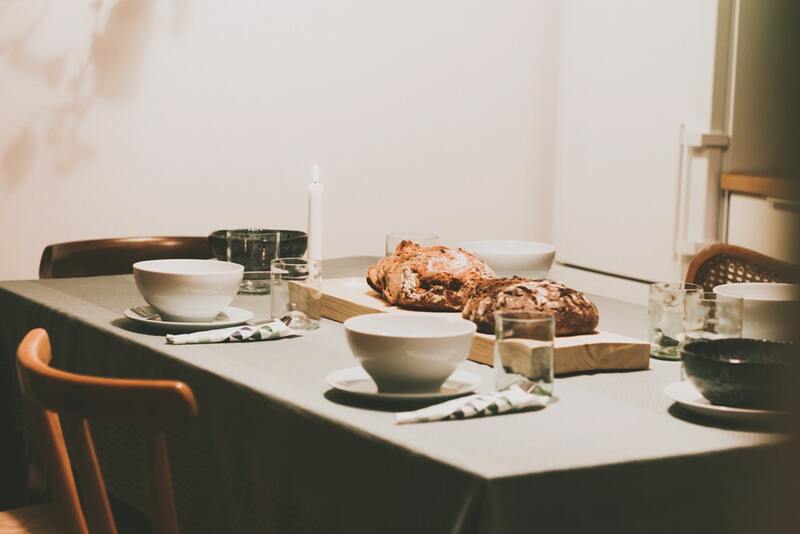 Designers are using empty entryways, half walls and blank walls to bring comfort and communal dining back into the kitchen. Goodbye linear design, hello curves. Chairs, coffee tables, and other furniture are all taking on a more rounded appearance with soft edges, smooth fabrics, and puffy seating. It’s almost the sixties all over again, but not quite there yet. Another eye-catching development in trendy decor is the statement ceiling and floor. Painting your own floors is the DIY movement of the decade and one of the few places where geometric is still on trend. Finish it all off with the high drama of an eye-catching console table. First prize is a custom-designed artisan piece although a one-of-a-kind flea market find will do just as well. Who doesn’t love a four-poster bed? They’re the comfort food of the furniture world and they’re creeping back into all the best bedrooms. The color and vibrancy of nature itself are at the heart of 2019 design trends. Even Pantone’s color of the year, living coral, tips a hat to Mother Nature. Other natural tones and hues are highly fashionable this year too, bringing granite, wood, marble, and pebbles into the home. Floral is in, even for wallpaper, and the real thing in the form of potted plants is still big news. Daylight is being invited to the party, and swish outdoor spaces are more important than ever before. Green innovations are the perfect way to compliment a natural theme in your house. This extends to using ethically-sourced sustainable materials, recycled and recyclable items throughout. Frivolity is out. Simplicity and purpose are in. We have the up-and-coming generation to thank for this ongoing focus on eco-friendly options. It’s just one of the recent home design and decor trends made popular by millennials. Read more here about how this influential set is impacting home design. Black never really went away but it’s back in focus this year. Add a little drama with furniture, prints, finishes, fixtures and even walls in this somber shade. Black is making its way into bathrooms once again. Millennial pink is still hanging in there fitting in with the feminine tones and warm colors that are so in vogue right now. Think blush, bronze, and dusty pink. Say goodbye to gender differentiation in your design. Pink isn’t just for girls anymore. If you have a lot of white space in your home, liven it up with daring indigo, emerald, and hunter green accents. Tonal reds are creeping back into living spaces to add fiery warmth and a comforting vibe. Burnt yellow brings cheer, happiness, and life to any room. Kitchens are also stepping away from clinical colors. Grey and white are still okay, but you can add some spice by painting cabinet doors, redoing your backsplash, and adding bold brassy taps. It’s sad to see some of these old favorites go but when it comes to home design, onward and upward is the way to go. You never know what the next flavor of the month will be, so it pays to stick with timeless classics when it comes to expensive design items. 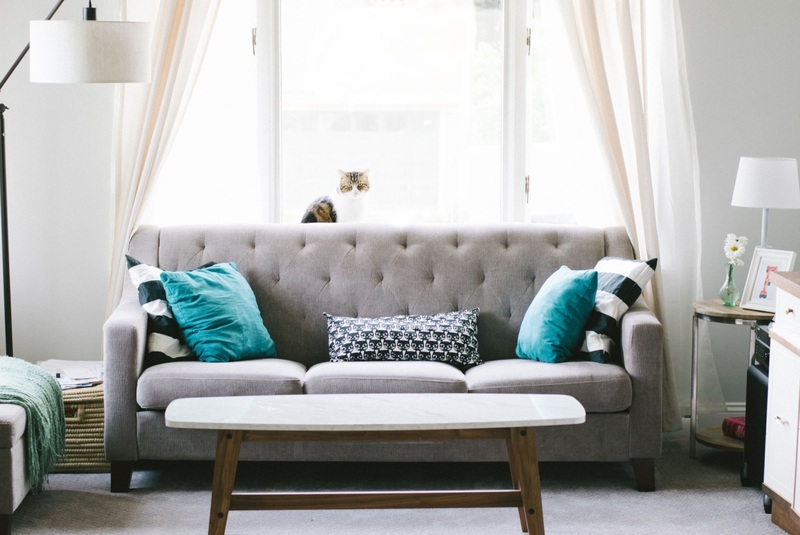 One of the biggest and most refreshing new trends in home decor for 2019 is making your own decor choices and sticking by them. Do what makes you happy. Add your unique personal touches wherever you see fit. Whether you love one of the above home trends or like to mix it up from corner to corner, you’re the one that has to live with it. Be bold, stay inspired, and keep reading my blog to stay on top of what’s hot and what’s not in the world today. If you want to improve the appeal of your home, then opting for a new window might be a very good idea. The benefits are clear, your windows will look amazing and the ROI can be huge all the time. Even if it might take a bit of time to change your windows, it actually works a lot better than you might imagine. Plus, you can avoid energy loss and expensive bills. Yes, as your windows lose their efficiency, they also tend to be bad for your home since you spend more on bills. It might not matter a lot for you at first, but it can definitely become problematic, which is why you have to avoid the problem as much as possible. Ideally you want to work with the Toronto best window companies as they will have no problem guiding you towards the best windows on the market. They are offering a great set of deals too, so this is maybe the best way to obtain a great return on investment. You just have to make the right pick and once you do that it will be a great opportunity for you. vinyl or wooden windows guide or you can opt for some other material entirely if you want. There’s nothing set in stone, which is maybe a good thing. It just gives you more control over the process and it makes things easier for you in the end. That’s because you have full control over how everything is handled and you will be quite happy if you change your windows fast. Is this expensive? It first depends on the type of windows that you want to add. If your new windows are created from a rare material and they have special features, that stuff won’t be cheap. However, if the materials are inexpensive that will reflect on the price as well. You also have to study the manufacturers if possible. Study the market, see what’s offered and based on that you can really get some amazing benefits. Patience is needed if you want to change your windows. You do need to perform some research if you want to achieve great results this way. It’s all about understanding the situation and figuring out a way to handle the entire process adequately, and it will totally be worth it at the end of the day. So yes, don’t hesitate to change your windows if you see that the current ones are damaged or lack the efficiency that they once did. Opting for a newer style and improved safety features should be a priority too. 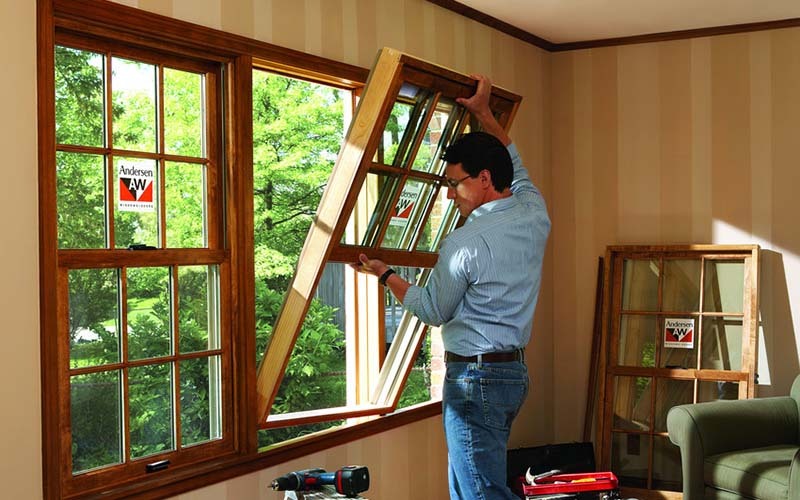 As long as you take all these things into consideration, results can be more than ok. We know that these things are challenging, but in the end changing your windows might be the best investment that you ever did for your home. And that definitely says a lot! Markham basements into functional living spaces. Here are some ideas on what you could do with the basement. The family continues to grow and some of the kids are now sharing their rooms with siblings. 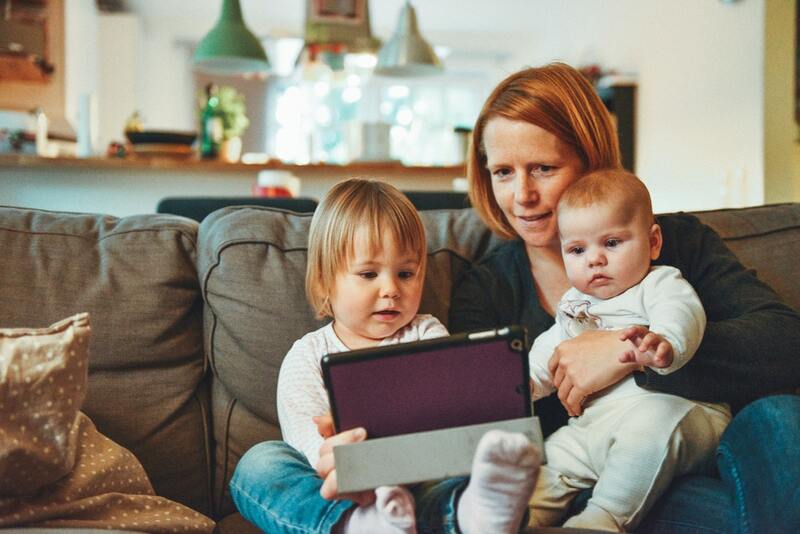 That’s fine when they are younger, but wouldn’t your eldest child love to have his or her own space? You can make it happen by calling an Ajax basement contractor and converting the basement into a bedroom. The first occupant of the new bedroom will love having space they are responsible for keeping tidy. In the years to come, the other kids will each have a chance to claim the basement as their own. Doing so ensures everyone in the family feels less cramped and there’s a way for everyone to enjoy a little more privacy. What happens when you have guests for the weekend? Do some of the kids give up their rooms so the grandparents have a place to sleep? If you convert the basement into a guest quite, everyone gets to stay in their own bedrooms. Markham basements can provide some practical suggestions. The nice thing about a family room in the basement is that no one sees it without being invited into the space. It’s fine if the kids leave their games set up or you leave your craft project on a table. Keep the upstairs tidy for guests who drop by and let the family live comfortably in the family room. Your Ajax basement contractor can provide some ideas of how to choose features for the space and ensure its practical and comfortable. Are you tired of having to gather your craft project off the dining room table when company is coming? Would you like to have a space where all your supplies can be organized and easily at hand? Many contractors have converted Markham basements into craft rooms that are complete with plenty of overhead lighting, lighting for detail work, and even plenty of cabinetry to keep supplies organized. Do you have an idea of how to put your basement to good use? Call an Ajax basement contractor today and arrange for a consultation. After taking a look at the basement and determining what it will take to finish and convert the space, the professional will provide a quote for materials and labor. In just a month or two, the basement will be one of your favorite rooms in the home. The fifth generation of mobile or 5G represents more than just a new generation of technology. It’s a merging fabric that’s supposed to link billions of devices in the most efficient, fast and reliable ways possible. If you want to learn more about the new 5G technology or perhaps write a dissertation about it, visit our dissertation service. 5G will reshape industries and transform the world we live in. 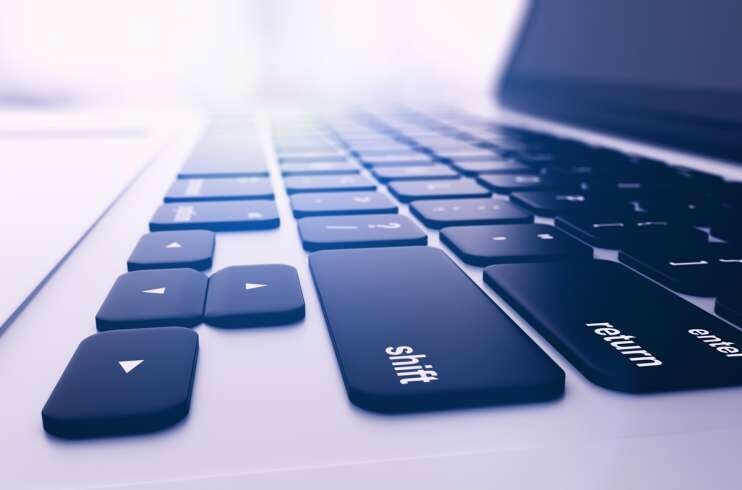 The world we currently live in requires fast connectivity for laptops, smartphones, and tablets. 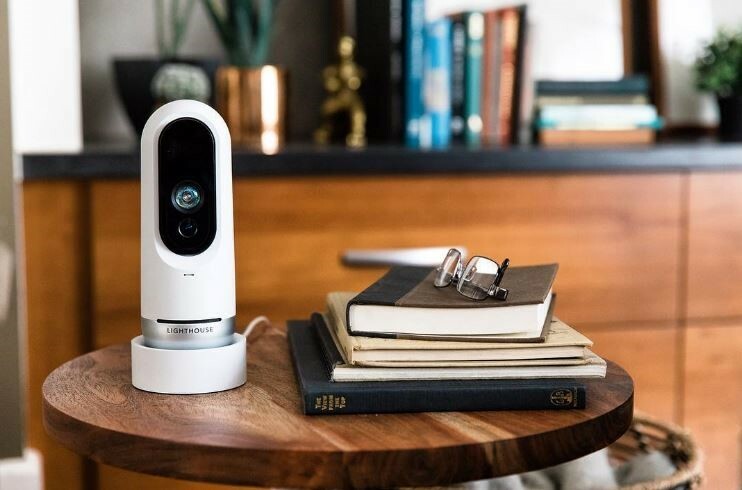 It also requires a large number of simple, low-cost, efficient and smart devices that will manage to stay connected under the most challenging conditions. You’ve probably heard a lot about IoT (internet of things) recently and you assume that 5G will take it to the next level. What’s the purpose of the 5G technology? The number of devices connected to a universal mobile network reaches up to 50 billion. Smartphone developers assume that in approximately 5 years, this number will increase by 10 times. 4G cannot satisfy the needs of the modern generation data connection. As you know, the mission of 4G is to connect people. But the mission of 5G is to link devices and meet people’s growing needs for stronger data communication capacities. The 5G new technology has latency undetectable to our eyes and ears. It’s even 20 times faster in comparison to today’s top speeds. In simpler words, 5G stands for a fast transference of immense amounts of data from any type of device that exists. What’s the usage spectrum of 5G technology? Target users include police, energy industry, healthcare, infrastructure, security service providers, water supply companies and agriculture. Possibilities include public safety, mission-critical utility services, and HD security videos. Benefits include safer cities, safe buildings, managing a large number of data connections, and linking a billion devices. It will prevent malfunctions because it will enable decision making in real time. Target users include agriculture companies, public sector organizations, water supply companies, smart houses, security companies, energy companies, and other companies. Possibilities include smart buildings and cities, better agriculture and environment, better utility services and benefits for consumers. Benefits include fresh business opportunities created by large data and cost-efficiency established on updated info. Target groups include the entertainment industry, online stores and services, and regular people. Possibilities include freelance work, freelance learning, online shopping worldwide, and experiencing and sensing the wider world. Benefits include downloading HD movies in just seconds, reading your favorite book in a self-driving vehicle, VR trips, remote work, and learning, location won’t matter anymore, and hologram concerts. Target users include healthcare, mining, the oil industry, robotics. Possibilities include remote control of industrial equipment, controlling processes in real time, factory automation, and remote healthcare. Benefits include reduced risk to people’s health and safety thanks to the remote control of industrial equipment and operating machinery in dangerous areas, lower costs, better efficiency, and being able to perform remote surgery. Just imagine a doctor based in London performing a surgery in New York. Target users include universities, healthcare, public sector, fitness, R&D companies, and fitness. Possibilities include gaming in virtual reality, supervision, support services for children and elderly, smart bike helmets, smart houses, smart package delivery. Benefits include internet connection without latency, communication between machines and people, and new business models based on sensors in order to prevent danger. Target users include insurance companies, security, car industry, transportation companies, schools, cities, infrastructure companies, road users and governments. The possibilities that come with 5G are endless. Self-driving cars, connected bus stops, and automobiles. Benefits include intelligent traffic systems and new business models and services that will communicate with sensors and enable safe and smooth traffic. How will 5G technology impact our lives exactly? As you can notice, the new 5G technology will most likely transform the world we live in today into something better. It will enable connectivity between billions of devices, public services provide a more accessible and faster quality service, machines talking to machines won’t be a science fiction anymore, same as machines talking to people. Just imagine talking to your refrigerator what food you want to have constantly, and it will ensure that you have a good supply of your favorite edibles. Imagine smart cities and smart buildings with 100% safe transport and no traffic. Imagine smart traffic where cars are able to communicate and adjust speed to ensure your secure arrival. Smart healthcare isn’t an exception once 5G comes into force. Surgeons will perform surgeries on patients worldwide while being located in their hometown. How insane is that? 3D Holograms will provide concerts in the comfort of your home. Meaning, the possibilities, and benefits for humanity and the entire planet with the usage of the 5G technology are endless. 5G will probably be first applied in places where it might bring key improvements in a direct or indirect way. 5G will probably be put into use by 2020. The impact of 5G will be revolutionary. If you want to write an essay about it or need help with some other essay, contact our expert essay writing service to assist you. Your basement is usually a dark place with low ceilings that rarely sees the light of day. You’re probably tired of storing your things in a room that has the potential to be so much more. So what to do with your basement? Here are ten ideas that can help you transform your space into something entirely new and useful. If you’re a crafter, woodworker, or artist of any kind, you know more than anyone else that you need a space to spread out and get creative. Transform your basement into a silent haven where you can focus on your art and listen to your muse. Dispense drinks from a bar and keep the music and games going without ever having to leave the house. 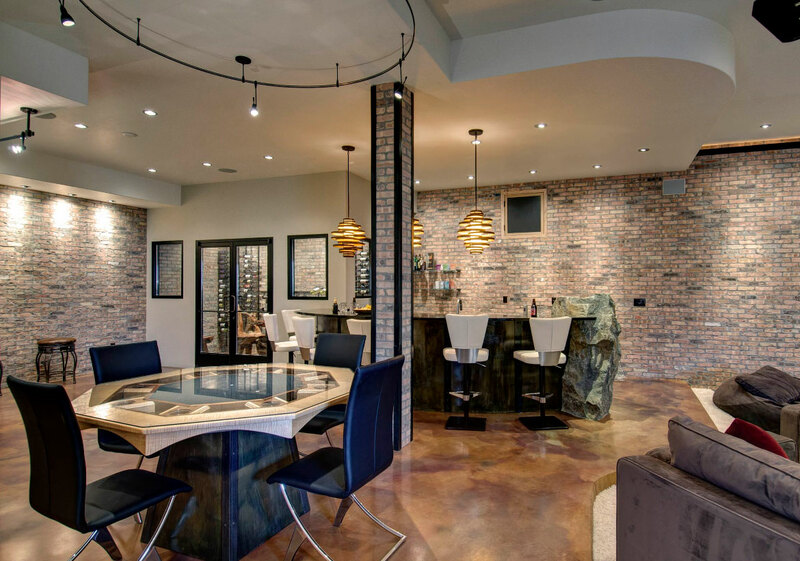 If you’re a fan of playing host for your friends and family, having a basement bar or lounge is the perfect entertaining option for you. Often called the “Mother-in-Law” suite, a basement guest room may sound a little medieval, but you may need the extra space. If you have unused options in your basement, such as hookups for a kitchenette or bathroom, the options just expand from there. As anyone with a large family knows, sometimes you just need space apart from each other. Create a new comfy room to let each other spread out and enjoy the peace and quiet for a moment. If you’re a movie buff, you need a space to enjoy doing what you love. Install a home theater in your unused basement space. Or maybe you just don’t want to grow up. What about an arcade? A pool table? Create a space where you can wind down. Perhaps you just work from home a lot, and you need a quiet space to be productive. A business office space may be just what you need. If you love books, you’re probably running low on space to store your books. You probably keep buying new books, even though you know you have no place to put them. Remember that empty space beneath your house? Turn it into a library! Are you into meditation? Mindfulness is a great practice that can be used to reduce the stress and anxiety of day-to-day life. Use calming tones, soothing lights, and create a space just for you and your peace of mind. Kids need their own space to let loose once in a while, and it’s not always warm and sunny outside. Create a play space for them in your wide open basement. You have officially run out of excuses not to work out if you have a gym just downstairs. Keep yourself motivated and accountable: install a home gym! Basement rooms often get discarded because they seem like so much work, but not only can they be a valuable use of space, having an extra space in your basement that everyone can use also adds value to your home. So, organize the stuff hiding down there, find a public storage near you for the seasonal items and donate the rest. Don’t let the potential of all that valuable living space sit and collect dust. All across the world, condos are becoming one of the hottest commodities imaginable. Modern and aesthetically-pleasing architectures, coupled with high-tech amenities and cutting-edge décor has, no doubt, created a boom of sorts, particularly when it comes to all things high-rise and residential. Now is the time, then, to reap the benefits of this real estate dream come true. Whether you choose to buy a pre-existing unit, or opt for the pre-construction route, you’re going to benefit from this decision in some way. The financial specificities and how your investment will grow is dependent on the region in which you’re located. Toronto, Ontario, for example, is one of the most popular areas. In recent years, the city has surpassed all expectations, filling its skyline with many developments in less than a decade. 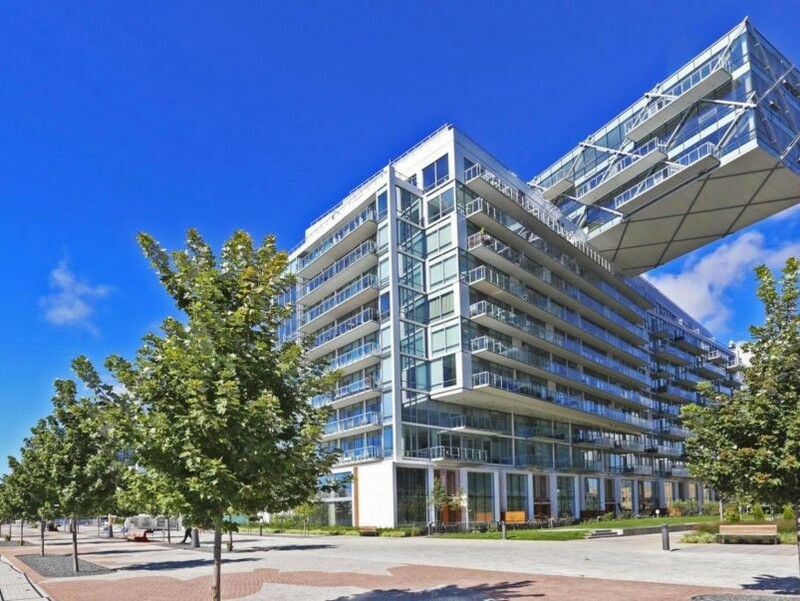 However, no matter where you’re located – be it Toronto or Vancouver – the first thing to do if you’re hoping to partake of the rampant popularity of condominiums is to learn about pre construction condos and how they differ from other models, both financially and pragmatically. This is where a team of agents who are knowledgeable about the nuances of real estate developments – like the expert team at CondoHere – will come in handy. First and foremost, a pre-construction condo is the best way to take advantage of this formidable increase in the value of condos. Not only do they afford you certain financial freedoms (compared to older, more established buildings), they can be more profitable in the long run, insofar as they are built to outlast their predecessors. With developing buildings, you don’t get what you pay for – you get, instead, so much more. Given that larger homes are unlikely to fall in value any time soon – particularly in the Greater Toronto Area – one shouldn’t hold out for that possibility. At the same time, this is no reason to pass on alternative opportunities. While pre-construction condos are yet-to-be-built, their benefits can certainly be felt in the immediate future. Their initial fees are substantially lower than that of, say, a mortgage for a house in just about any area in southern Ontario. While they aren’t always as large when it comes to square footage, this is compensated for by way of affordability – because they’re incomplete, you are not required to put forward a sizable down payment prior to moving in. One of the most lauded benefits of these housing ventures – second only to how easily financed they are – is the fact that each and every aspect of your new home will be brand new. That is to say, completely unused amenities are at your disposal. A great deal of enjoyment and comfort will be derived from this fact, whether or not you hope to live in your unit, or simply plan on leasing it out to tenants. There are plenty of reasons to get involved with the current condo boom. With these shockingly beneficial pre-construction realities in mind, it might be time to get started on setting a projected move-in date, before those new developments in the neighbourhood of your dreams are filled to the brim with satisfied residents and investors alike. Luckily, with the right team of real estate agents on your side, you’ll be able to quickly and easily find the perfect condo. Plastering a wall is often done by professionals. However, anyone who is confident enough to undertake minor DIY projects can plaster a wall by following methodical steps and using the right tools. If you take time to learn the process and know your way around construction, it is likely that you will be able to succeed in a renovation project that involves plastering. The first step to the process is to ensure that you have a complete set of tools and materials. Don’t forget some small but essential materials such as brick tape. Aside from rendering supplies and plastering supplies, make a checklist to include some of the most important tools and materials. If you are working outdoors, you may also need a temporary downpipe. Once you have gathered all the materials, then you can proceed with the steps to plastering. Preparing your work area. You need to make sure that you have a spacious and clean area to work in. Move away any furniture that may get damaged in the process. You can also lay dustsheets on the floor and over other fixtures you want to protect. Don’t forget to secure the dustsheet using tapes. You can use any kind of tape like protection tape or duct tape. Applying bonding agent. The next important step is to apply a bonding agent like PVA to the wall. Bonding agent helps plaster to evenly dry out after application. Mixing the plaster. You need to take some precautions before mixing plaster material such as wearing a mask. A professional tip is to mix plaster into the water and not water over plaster. The consistency of plaster should be like thick custard. You also have to ensure that the mixture is not lumpy. Applying plaster. Make sure that you are marking areas for plastering using a stucco tape. This can also guide you in applying the plaster more evenly. When applying plaster, begin at the very top and work your way to the bottom. If you are not an expert in the application, you can start with small amounts until you start to get the hang of it. This step is done to smoothen the first layer of plaster. You should allow the plaster to dry for a bit before using a trowel or a straight edge to smoothen any bumps or lumps. This step is considered optional, but this can be done to remove roughness before adding a secondary coat of plaster. Scraping also helps the second layer of plaster to adhere better. You can use a special tool called a devilling float or even a fork. After applying the second or final coat of plaster, you need to finish up the work by spraying water over the surface then use a trowel to finish up and smoothen the surface. Instead of a trowel, you can also use a wet sponge or brush. Following these steps should help you achieve a successful plastering project. You can find additional tips online from professional plasterers who are willing to share their tricks of the trade. One of the most popular innovations in bathroom design and construction is a shower cubicle. These come pre-fabricated and easy to install. For homes with limited space, it makes more sense to have a shower cubicle than a built-in bathtub. There are other considerations when it comes to deciding whether you need a shower or a tub. Is it for a family home with elderly and with kids? Do you live a fast lifestyle where you don’t necessarily have time to take long baths? Do you live in a small flat with an equally small bathroom? 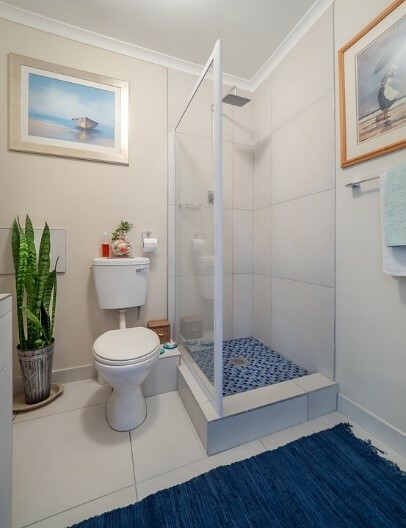 While a shower pod is certainly a sensible option, there are still some factors to consider before jumping into making a purchase. It is important to emphasize that cubicles are suited for bathrooms with limited space. There are shower pods that can fit into a corner giving enough leg room for the toilet, vanity, and other fixtures. A shower pod is also ideal if there is more than one person who will use the bathroom at a time. While someone is taking a shower, another person can make use of other bathroom amenities to save time. If you live a busy life, you are less likely to have a lot of time for cleaning and tidying up your home. Shower cubicles are easy to clean and maintain. You only need to wipe it down with detergent and keep the floor free from scum and debris. Make sure that you are buying a shower pod made with good quality glass that does not accumulate stains from personal hygiene products and water. Most shower cubicle models come with built-in storage area within the pod. This is a space-saving feature and saves you the time of having to go in and out of the shower to get what you need. You can also find custom shower pods with additional features such as water jets and steam. If you want to afford a bit of luxury and style, you can choose a pod with some of these features. For someone who is looking to save on the cost of shower installation, you may be tempted to buy a cheap shower cubicle. There is a danger in choosing the lowest price point as the quality of the materials may be compromised. It is better to look for mid to high price points to ensure that you are making a wise investment. There are a lot of suppliers out there, and choosing from among them can be overwhelming. If you have the time, try to inspect the product personally before making an order. You can also ask for advice from a contractor or an expert installer so that you know exactly what you get. You should also be aware of the existing plumbing in your home and if it will be compatible with the mechanisms of your purchase. Ideally, the shower pod should be installed easily without requiring you to make any adjustments to your plumbing.